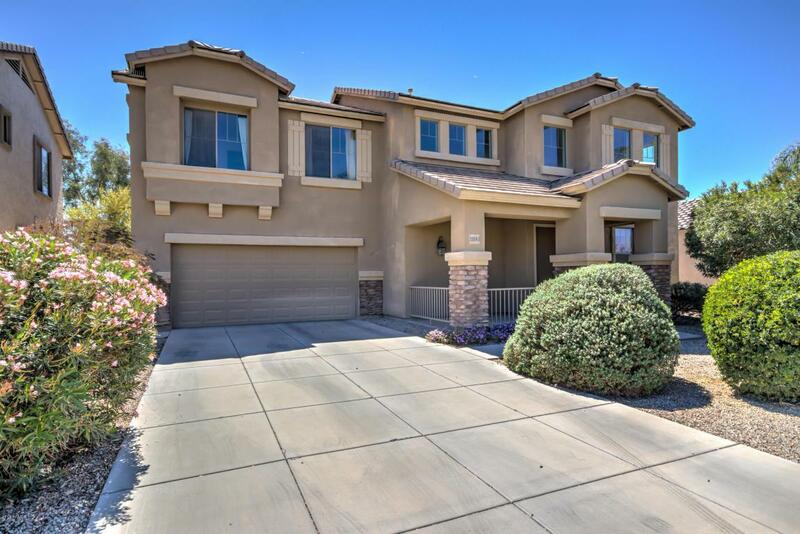 FABULOUS 4 bed (plus loft)/2.5 bath two-story home w/ great curb appeal that has been well-maintained! You are welcomed in through delightful, covered front patio to soaring ceilings & beautiful flooring. Bright & open eat-in kitchen w/ plenty of cabinet space, granite counters, pantry & island w/ sink & raised breakfast bar. Versatile loft makes great play area, home office or additional seating/family room. 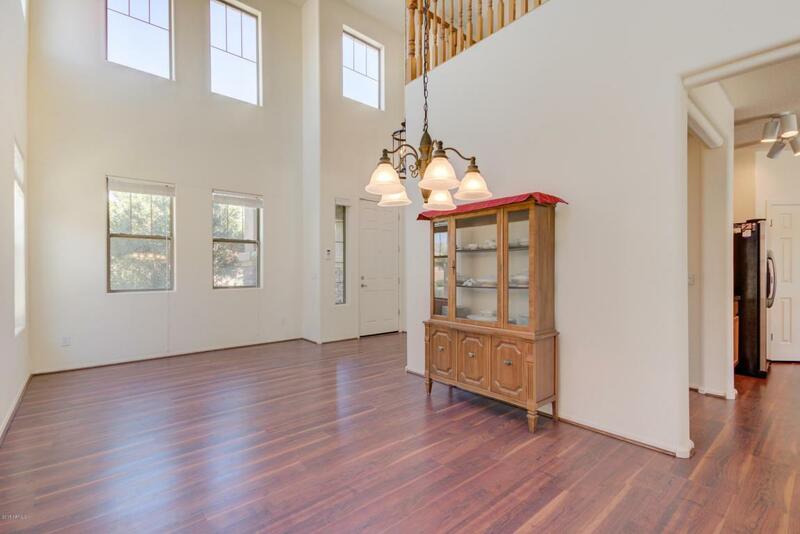 Spacious, window-lined master offers master bath w/ dual sinks, soaking tub, glass shower, private toilet & large walk-in closet w/ built-in shelving. Low maintenance backyard is simple, yet inviting w/ scenic fencing looking out to greenbelt, colorful plants/shrubs & extended covered patio.Plenty of room for a pool if desired! 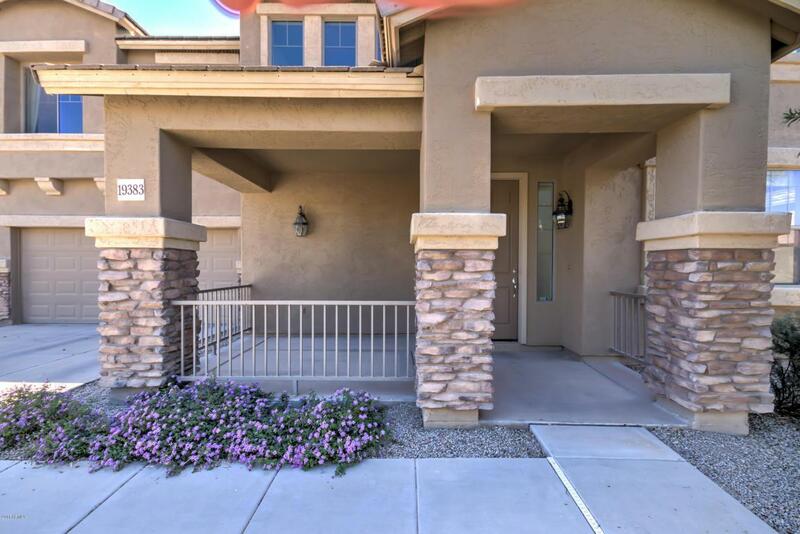 Located in the family friendly Queen Creek, just minutes from freeway access, shopping, dining & entertainment, including several popular golf clubs. Come check out this great property while you can!